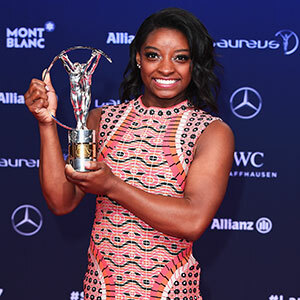 MONACO – Olympic, World and U.S. all-around champion Simone Biles of Spring, Texas/World Champions Centre, is one of six women nominated for Sportswoman of the Year for the 2019 Laureus World Sports Awards. The world’s sports media selected the highest achieving men, women and teams from 2018 as the nominees for the 2019 Laureus World Sports Awards, the world’s pre-eminent international sports awards. Also in contention for the Sportswoman of the Year accolade are Simona Halep (Romania), tennis; Angelique Kerber (Germany), tennis; Ester Ledecka (Czech Republic), skiing/snowboarding; Daniela Ryf (Switzerland), ironman triathlon; and Mikaela Shiffrin (USA), skiing. 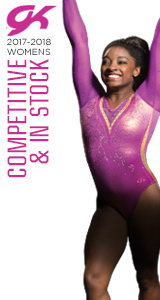 Biles won the Sportswoman of the Year honors in 2017. A complete list of all nominees is provided below.